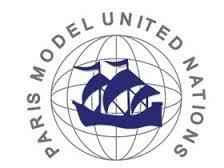 Nine students, accompanied by Julia Byrnes and David Lewis of AGESSIA, participated in this year’s Paris Model United Nations debating conference at le Palais de la Mutualité between 1st-3rd December. The theme of the weekend was ‘Working towards the new World Order‘ and issues explored by the 780 delegates present included state-sponsored cyber terrorism (Political committee) measures to ensure environmentally safe tourism (Environment) infrastructure and it’s contribution to education (UNESCO) and automation and its impact on employment and economic disenfranchisement (International Labour Organisation). 51 schools from over 20 countries took part in the two days of committee work, followed by Sunday morning’s General Assembly on the subject of climate change. PAMUN 2017 marked the first time that a Duby student has chaired a committee at a conference outside of our very own GD-MUN. Eve Fraser was one of a team of three who chaired the International Labour Organisation committee (ILO) and, in common with all our delegates, her performance was excellent. Some of our delegates managed to get their clauses debated in committee sessions and often spoke from the floor. Well done everyone! Ten more of our students will have a chance to take part in these exciting conferences when ILYMUN (Lyon) convenes on January 18th and Georges Duby MUN kicks off in late March. 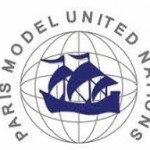 Those who did themselves proud at Paris MUN were Margot BARRANCO (Economic & Social Committee), Léa BEUZIT and Léna COLLINS (Human Rights), Charles DELIEGE and Chloe THOMAS-SMITH (Political), Morgane FRANCOIS (UNESCO), Eve FRASER and Camille PAOLINI (ILO) and Pierre GARRABOS (Environment). Our delegation represented two countries : Kenya and South Africa. A BIG thank you too to Mme BYRNES whose enthusiasm and dynamism were ever-present on the trip, despite the COLD weather in Paris!